Physical Education offers an exciting opportunity for students who have a passion for sport and want to understand how to improve performance through theory. The theory aspect of the course is broken down into 6 main areas which are examined through two written papers. The areas of study are: Applied Anatomy & Physiology, Exercise Physiology, Biomechanics including Technology, Skill Acquisition, Sport Psychology and Sport and Society. As a result of studying the above sections of the course, you will gain an understanding of how the body works during sport, how skills and techniques are acquired and utilised within sport and also the current issues surrounding sport. For the practical assessment you will be expected to perform one sport and an oral piece of coursework about your sport which has 30% weighting of the overall course. The successful Physical Education student will possess a passion for all sports and drive to improve their knowledge further. As the course is varied in terms of the theoretical side, the student should have an interest in science and also in all aspects of current sporting affairs. The student should also be performing at a high level in a sport, ideally training and competing outside of school on a regular basis for a club. The student should also be self-motivated and strive to challenge themselves as there are aspects of the course which will be completely new concepts. Specific subject knowledge is valuable in its own right, but Physical Education has strong transferable links with Biology, Physics and Psychology. Students will develop a wide range of subject knowledge from a range of disciplines and improve their exam technique as a result of regular testing. There are also many opportunities to learn outside of the classroom. At TBSHS we run an extensive extra-curricular programme for the Sixth Form including enrichment on a Wednesday afternoon which gives students the opportunity to develop sporting skills further in a range of sports. There are also a wide range of competitive opportunities in basketball, cricket, cross-country, football, netball, rugby, squash and swimming all of which we compete at on a local and national level. Northumbria to study a range of sports courses. Several students have chosen to pursue a career upon finishing the course. Sports coaching and sports management are popular choices, although some students choose career paths that are not directly related to sports, for example, quantity surveying. 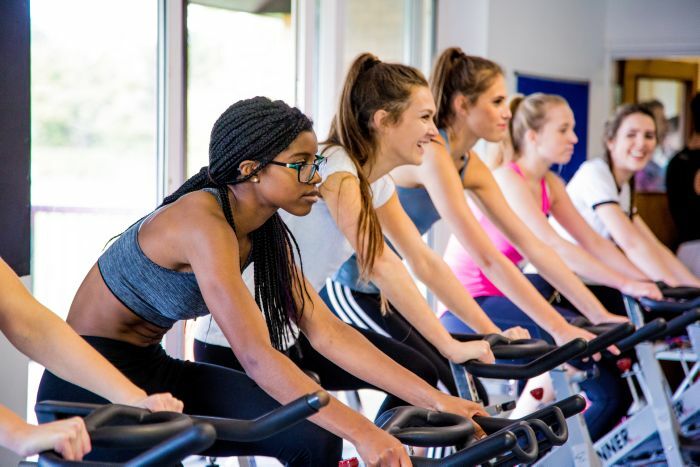 There are a whole range of opportunities available to a student studying A-Level PE with many of the skills they develop being highly transferable to both the workplace and further education.